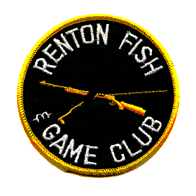 Renton Fish and Game Club is hosting a suppressor shoot to promote and support one of the most positive changes in state gun laws in recent years. Members, suppressor owners, and people interested in the use of suppressors are invited to attend. Participants will be able to meet with manufacturer representatives and learn the procedure to owning a suppressor. Current industry participants include K&E Arms, Liberty, SilencerCo, and Pinto's. Rifle and pistol ranges are reserved for suppressor only shooting for the duration of the event. Rifle range will be restricted to shooting suppressed only. Pistol range will a hearing safe zone and be restricted to shooting suppressed with subsonic .22 LR, 9mm, .45 ACP, and 300 BLK ammo only. Entrance fee for the public is $10 per person. RFGC members may enter for free are encouraged to bring their own suppressors, firearms, and ammunition. Ammo will be available for purchase at the range to use with manufacturer provided equipment (while supplies last).